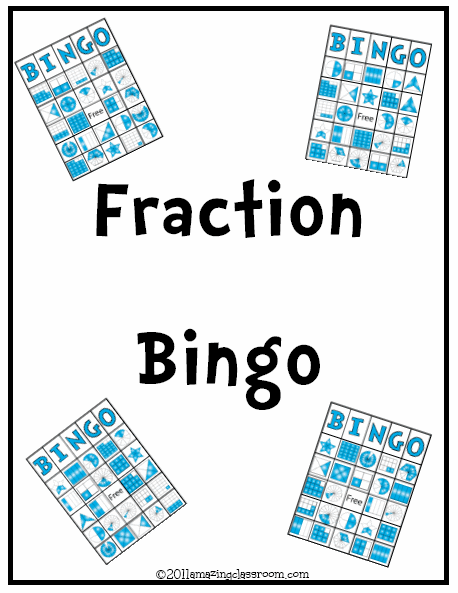 Help reinforce fractions with our new and fun Fraction Bingo game! This set includes 18 different bingo cards to print and laminate. All 18 cards come in a small size (4 to a page) or a larger size (one to a page) for you to print and laminate. A caller's card is also included to help you keep track of which fractions you called. Enjoy! 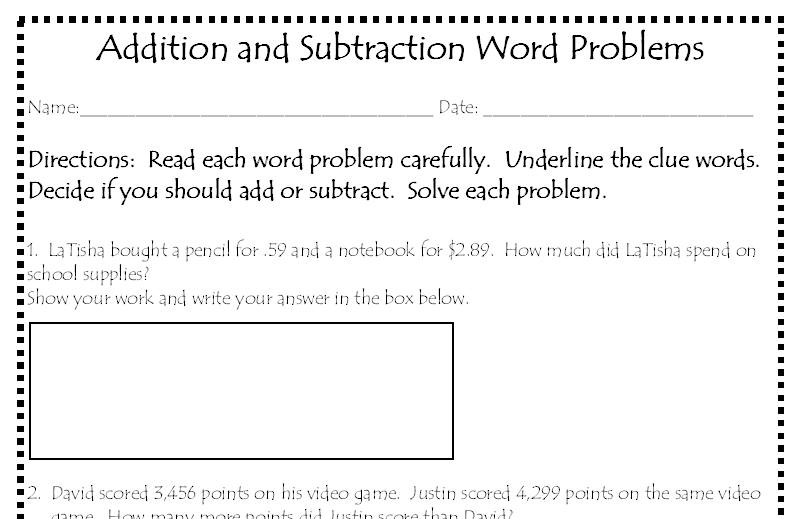 This activity page contains one step and two step word problems for addition and subtraction. Use this activity as guided practice or as a formative assessment to see what your students know. This activity features over twenty pages of one-to-one number correspondence cards from zero to thirty five. There are a total of 108 cards to cut out, laminate, and use in a math station. Each set of cards has a number, the word form of the number, and a matching amount of pretzels. Use two of the cards for an easier activity, and add the word form cards in for your more advanced students. Enjoy! 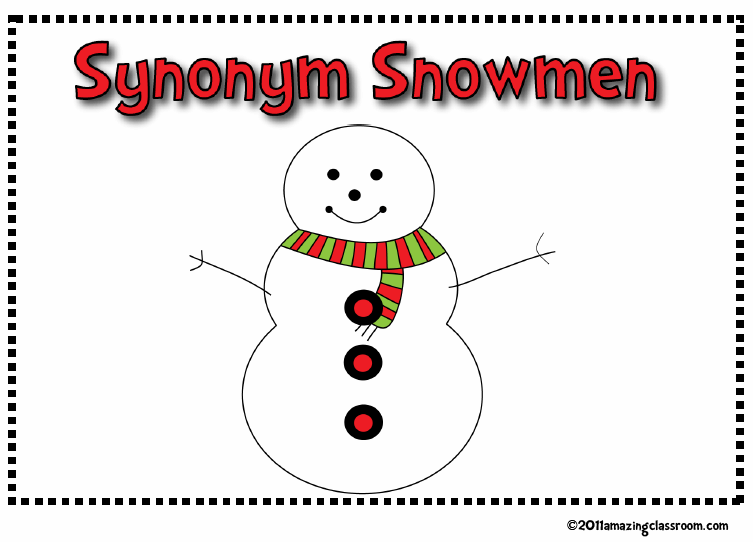 Your students will have fun this winter learning synonyms with this Synonym Snowmen activity. This packet contains 32 pairs of synonyms along with directions of multiple ways they could be used in your classroom. Play Synonym Match up, Synonym Super Race, or just use this as a reading, grammar, or word work activity in your room. The synonym cards, set-up, game directions, and the answer key are all provided in this fifteen page packet. Enjoy! This center station activity contains over twenty five pages of fun with synonyms for your students. Students will manipulate the printable synonym rolls (cinnamon rolls) and place them on the matching baking sheet (print out). 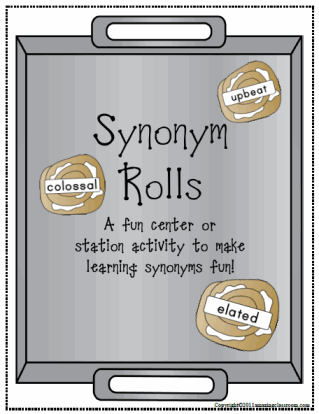 This center station activity includes ten words (baking sheets) and six synonym rolls (synonyms) for each word. The synonym rolls can be printed out in color and laminated to be used over and over again. 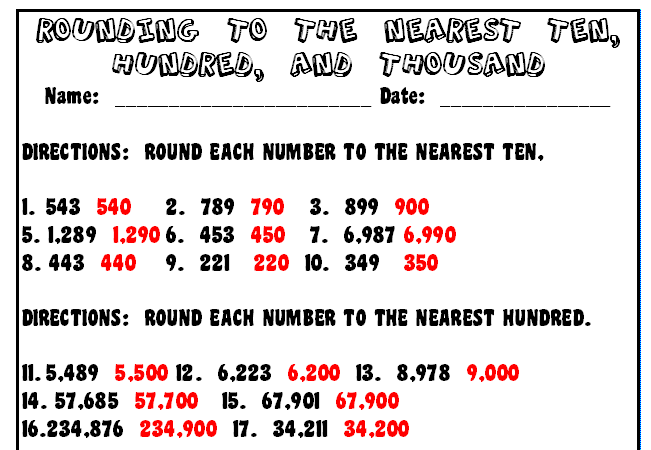 This activity page includes multiple problems for rounding numbers to the nearest ten, hundred, and thousand. It is great to use for a pre and post assessment on rounding or even for extra practice or homework. Enjoy! 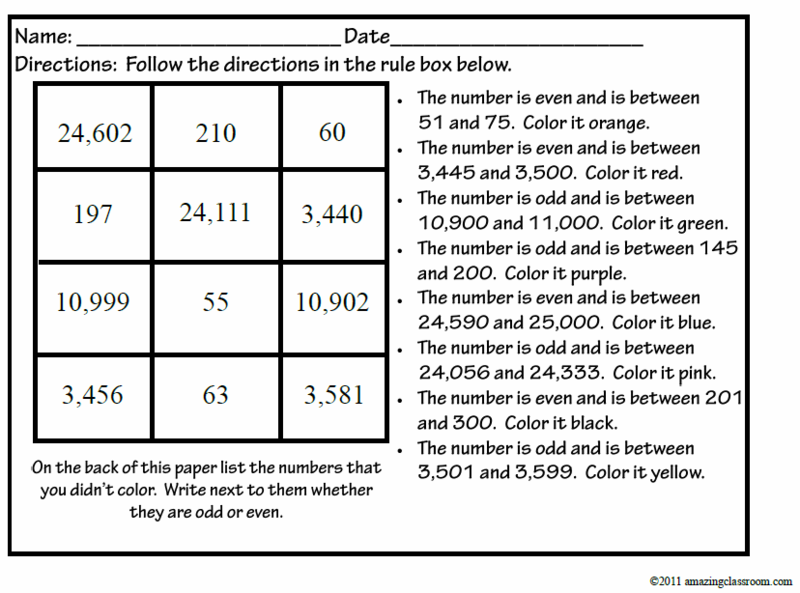 Use this activity page to help students identify odd and even numbers. 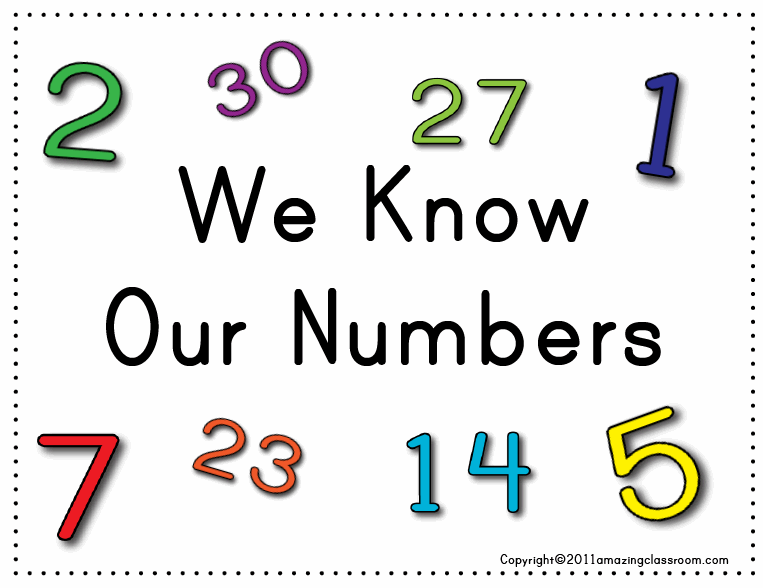 The students will look at the number, identify the number as odd or even, and then circle it with the appropriate color. Enjoy! 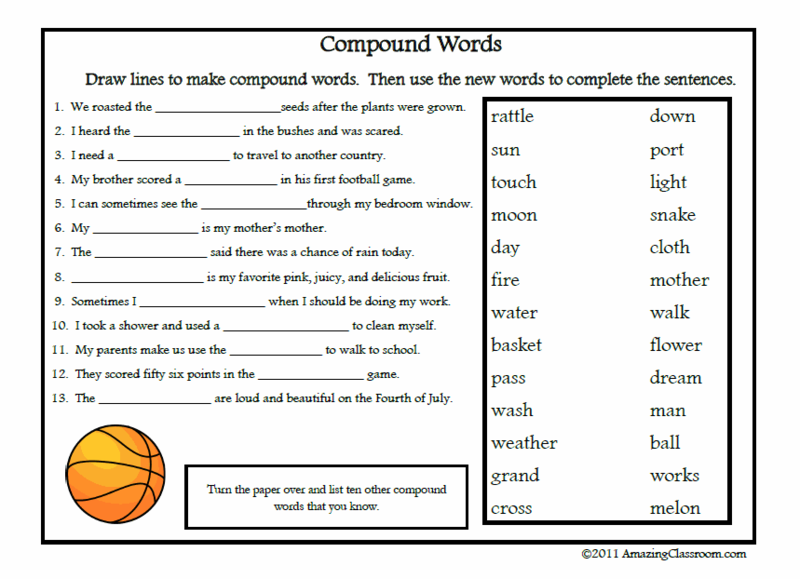 Use this activity page to help reinforce the concept of compound words. Students create compound words by connecting lines and filling in the missing compound words in sentences. 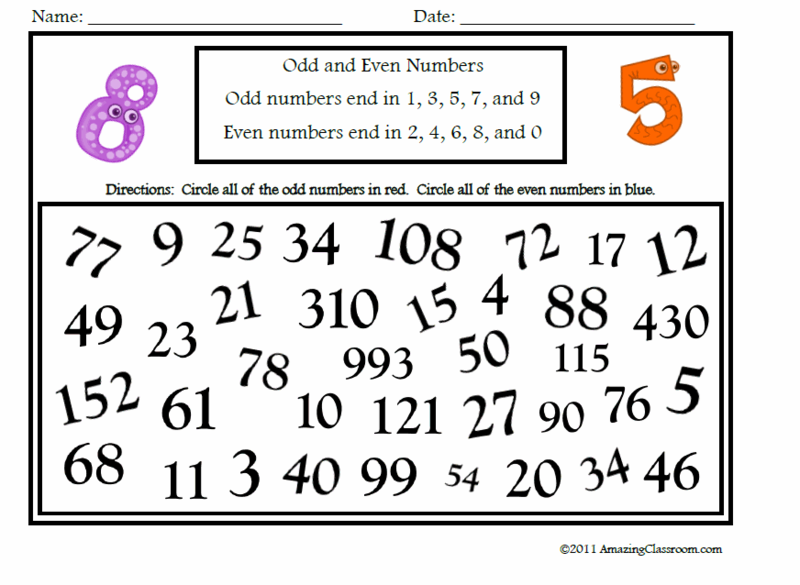 This activity page covers the skills needed for odd and even numbers, ordering numbers, place value, and logic. It's challenging and fun for a variety of learners. 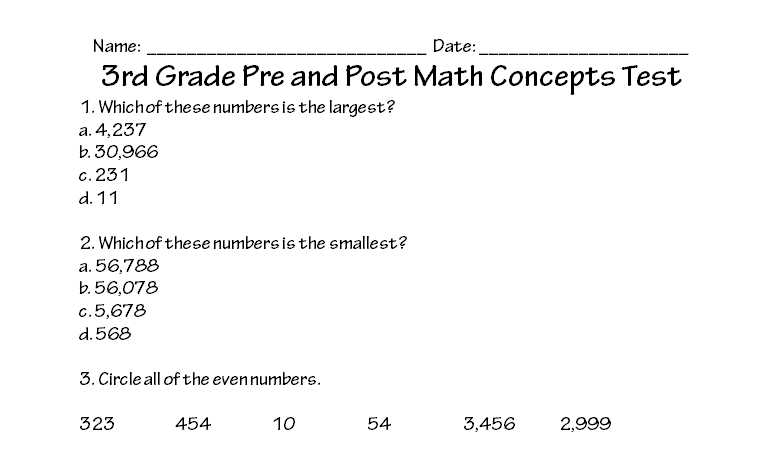 Do you want to know which math concepts your students already know? Do you want to know how to guide your instruction? Give this math concepts test to your students at the beginning, middle, and end of the year to see what they know. This math test includes test questions in numbers and operations, geometric and spacial relationships, algebraic reasoning, data and probability, and measurement, and contains over 80 mathematical questions.Enjoy!